A new padded board book with cheerful and upbeat rhymes that teaches children to be thankful. A comfortable and relaxing rhyme tells the story of God's great blessings in this padded cover board book. P.J. 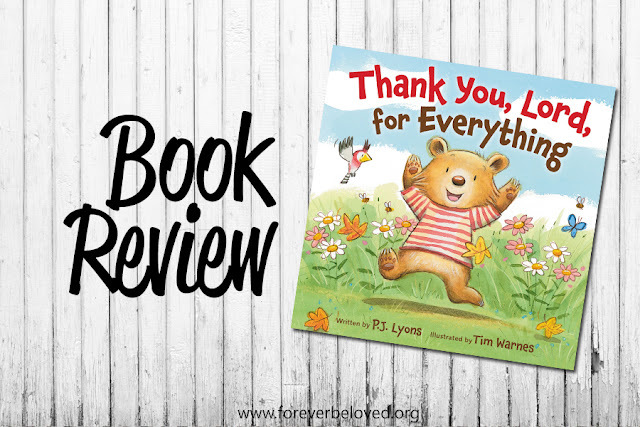 Lyons' engaging text and Tim Warnes' playful illustrations remind readers how much they have to be thankful for. Thank You, Lord, For Everything, is a sweet and gentle rhyme-perfect for bedtime, quiet time, and anytime in between. Oh my lanta, this book is the cutest. The illustrations by Tim Warnes make the book extra special and oh so cute. The sweet little bear gives thanks throughout his day in every situation. This is a wonderful book to teach children to give thanks for every little thing that happens along their day. The pictures and rhyme captivate their interest and will quickly make it a favorite. I can't wait to read this to the littles in my class! 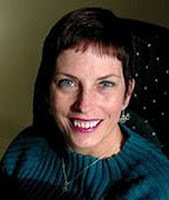 P J Lyons received a Master's Degree in Writing for Children at Vermont College and is the author of The Little Lion's Bible (Zondervan 2012), The Little Lamb's Bible (Zondervan 2012), and The Wonderful World That God Made (Kregel 2004). She currently resides in Grand Rapids, Michigan.